MACK, 2014. 80 pp., 39 color illustrations, 6¾x8¾". A Perpetual Season lays a photographic trail through a dream-like city, offering glimpses into a network of spaces that loom as silent witnesses to some forgotten order. Recurring concrete shapes and perplexed human beings punctuate the journey with a faintly elegiac tone which conjures up an inverted Arcadia, illuminated by the hopes and visions of a bygone era. This is fertile ground for a series of unsettling encounters which act as cryptic symptoms of an ominous presence – a reversed staircase, an unreachable doorway, people frozen in precarious gestures, disturbed conversations. 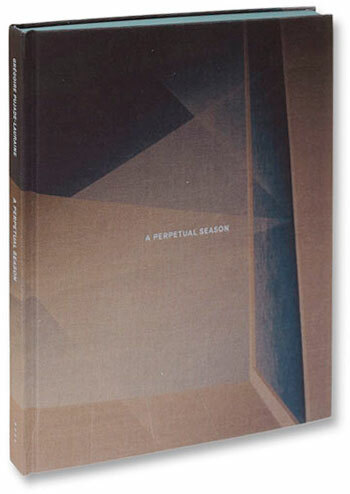 This 'perpetual season' alludes to a self-contained pictorial space, and the naturalistic approach embedded in such photographic practice is a guise for the construction of a world that ultimately belies its own familiarity. The formal and thematic echoes running throughout the sequence can be viewed as transverse lines drawn within an apparent chaos, connecting discarded buildings with bewildered passers-by, decaying natural arrangements with enigmatic corridors. As each is seemingly doubled or reincarnated, they condense in this peculiar scope of light and space, like an ever-returning cross-section of a global cycle. Grégoire Pujade-Lauraine is a photographic artist living in London, whose work has been exhibited in various European venues. A Perpetual Season is his second book. 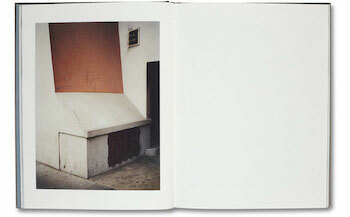 The Significant Savages, his first book, was recently selected for the third volume of Martin Parr and Gerry Badger's The Photobook: A History.